The Minimalist Leaf Wedding Invitation joins the collection today and I couldn’t be more excited about it! This design features a modern script accented by a small, simple leaf growing out of the letters. I love the simplicity of this design and how versatile it is. The Minimalist Leaf Wedding Invitation can be customized with different colors to make it unique to your wedding color palette. The envelope liner can also be switched out with any other design. Introduce your guests to this unique invitation design with envelope addressing. Your return address will include the simple leaf design to carry it throughout your suite. 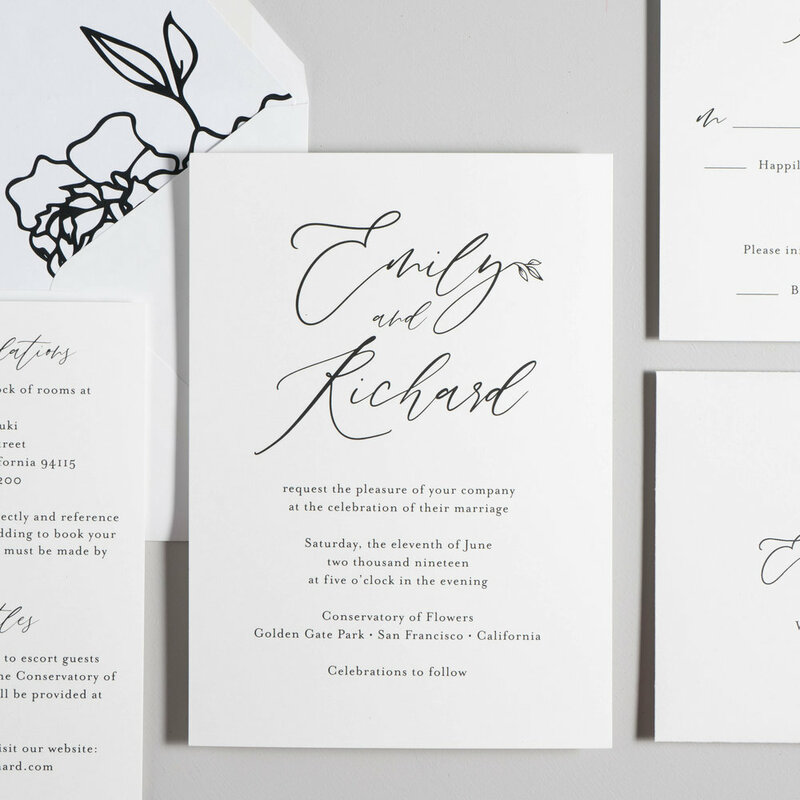 The Minimalist Leaf Wedding Invitation can also be customized in foil stamping or letterpress to add a lasting impression to your invitation suite. 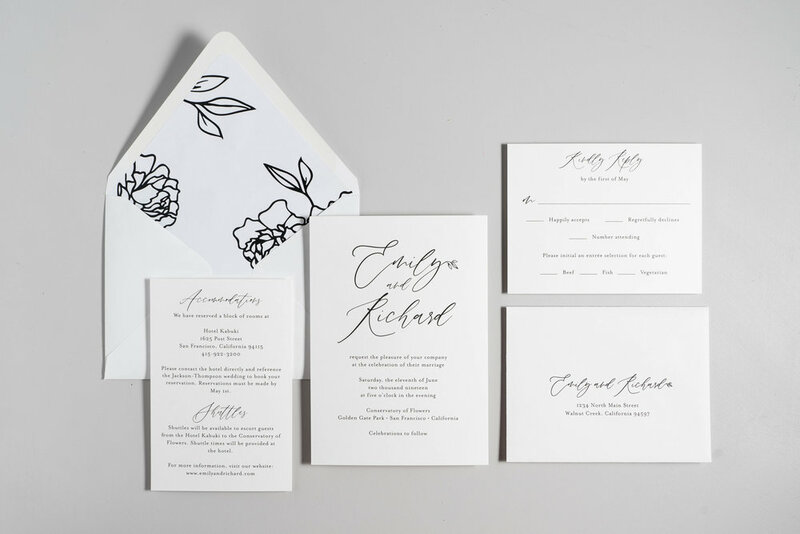 The Minimalist Leaf Wedding Invitation is also available in matching reception stationery. From menus to place cards to thank you cards, we have everything you need to create a cohesive look for your wedding stationery.